La Chouette d’or | One quality, the finest. 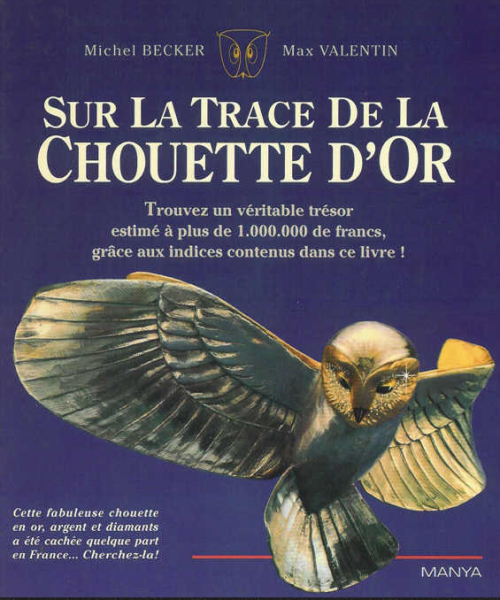 Recently on the French news, they featured the story of the twenty year quest to find la chouette d’or (lah shoe-ette door), or “the golden owl.” In April 1993, Max Valentin (a pseudonym to protect his peace) buried the statue at an undisclosed location somewhere in France. 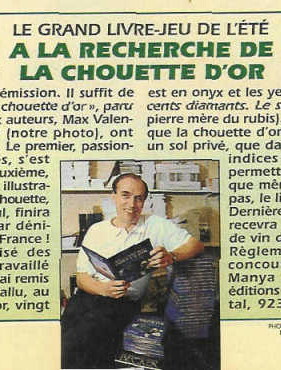 He provided 11 clues in a book entitled Sur la trace de la chouette d’or, illustrated by the statue’s creator Michel Becker, and the quest began. Twenty years later, les chouetteurs, the name for the owl obsessed hunters, are still determined that this year will be the one and they’ll find the elusive bird. And if they do? They get to trade in the statue, that is actually made of bronze, not gold, for a far more valuable one worth about 150,000 Euros. Valentin died in 2009 with no winner yet identified. Some chouetteurs have gotten close. Valentin noticed that the ground had been disturbed near it one time. Some frustrated hunters wrote him nasty letters; others pleaded for extra little hints in exchange for serious money. Some determined souls have busted up concrete floors, and even a chapel, believing that the elusive owl lay beneath. Think you’ve got the golden touch? The chouetteurs keep in contact with each other through this website. The world’s longest-running unsolved treasure hunt awaits. A rather dated French slang term for “cool” is chouette. How appropriate. This entry was posted in Events and tagged France, La Chouette d’or, les chouetteurs, Max Valentin, Michel Becker, Sur la trace de la chouette d’or. Bookmark the permalink. According to the web, yes. Happy hunting!